A sea lion rescued in Ucluelet after being shot in the head earlier this month has died at a Vancouver recovery centre, veterinarians say. The Steller sea lion dubbed "Ukee" was euthanized after spending two weeks in critical care at the Vancouver Aquarium Marine Mammal Rescue Centre. Head veterinarian Dr. Martin Haulena said the choice to put down the sea lion was difficult, but had to be made. "He wasn’t responding to treatment, and his condition had taken a significant downturn in the last two days," Haulena said in a statement. "At this point we had to evaluate his quality of life. Although we are disappointed we couldn’t return him to full health, we are glad we could end his suffering and make his final days more comfortable." 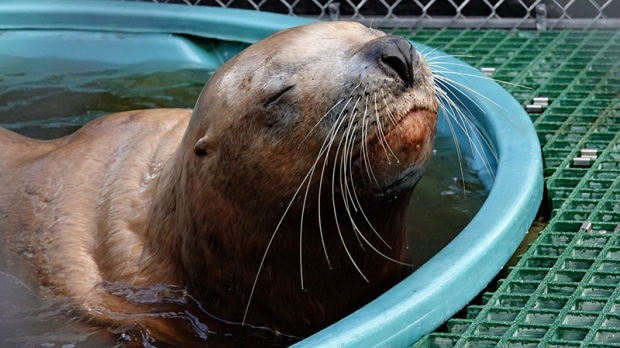 Ukee was found on a rocky shoreline of Ucluelet with gunshot wounds to his head and was severely emaciated. Experts said the 8 to 10-year-old sea lion also appeared to be blind and unable to forage for any food. On Oct. 11, a massive team of personnel including staff from the rescue centre, Department of Fisheries and Oceans, Parks Canada and other local volunteers staged an operation to rescue the animal. 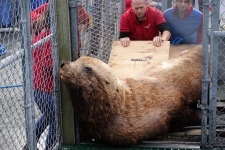 At under 350 kilograms, he was far under normal weight for adult Steller sea lions, but was still the biggest animal ever admitted to the rescue centre, staff said. 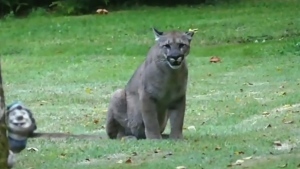 After Ukee was rescued, Haulena had strong words for whoever may have shot him. "This is clearly a serious animal welfare issue," he said at the time. "It is unacceptable to shoot sea lions. Based on his body condition, this individual has been suffering for many weeks." Anyone who sees a marine mammal in distress is asked to immediately report it to the rescue centre at 604-258-7325 or the DFO hotline at 1-800-465-4336.